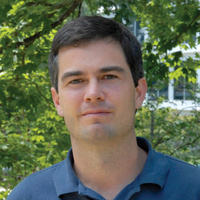 "Dynamics and Viability of Trailing-Edge Bird Populations in the Southern Appalachian Mountains," Richard Chandler, associate professor of wildlife ecology and management in the Warnell School of Forestry and Natural Resources. Reception follows seminar at 4:30 p.m. in the ecology building lobby. Hosts: Sonia Altizer and Richard Hall.